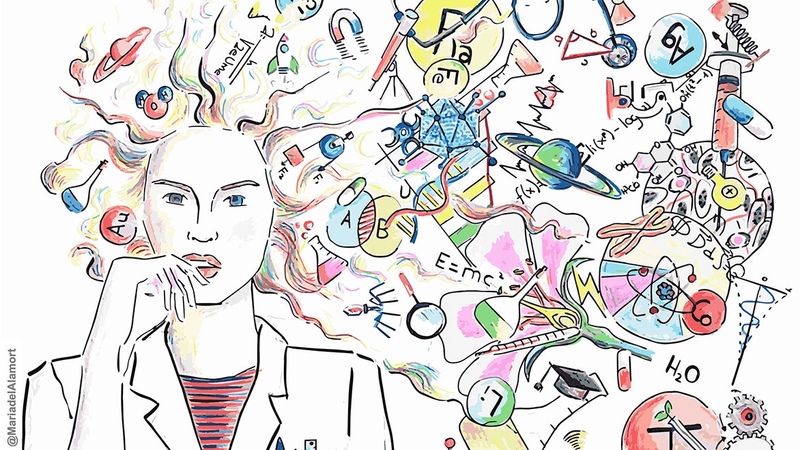 The idea is to encourage scentific curiosity and exchange the knowledge between women and girls in science. From the ICMAB, Arántzazu González participates in this initiative, called "Nuestras científicas: Jornada de investigadoras actuales y futuras" on Monday, 11 February, at the Escola Can Maiol (Barcelona) with students of 6-7 years old (1r Primària). She will be with four other scientists, explaining their research to the young students: Gemma Fabrias (IQAC-CSIC), Julia Rose Zinsmeister (CRAG), Neus Ibáñez and Teresa Garnatje (Institut Botànic de Barcelona). 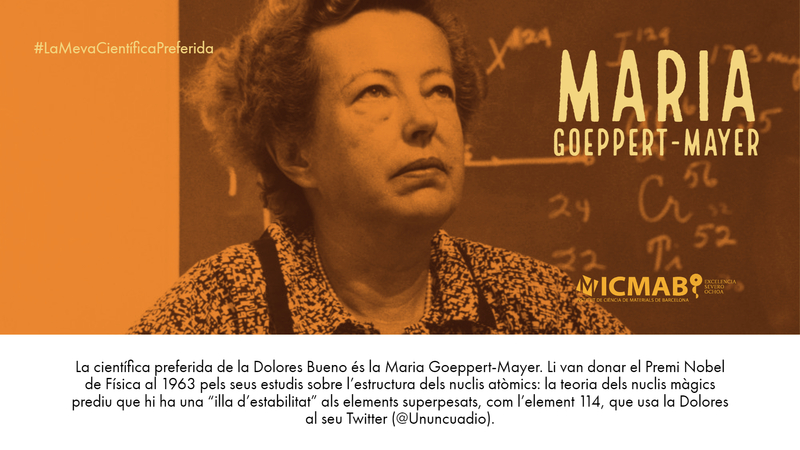 Apart from this initiative, two other scientists from the ICMAB will go to secondary schools on 11 February, to give some talks about their research and life as a scientist, in the framework of 11defebrero.org. 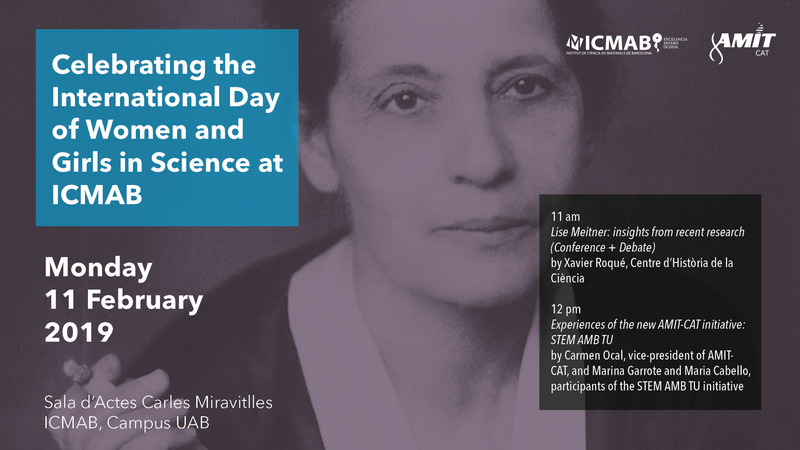 At the ICMAB, we also partipate in the 11F with a seminar on Lise Meitner by Xavier Roqué (11 Februrary, 11 am), and a presentation of the STEM-AMB-TU initiative from AMIT-CAT (11 Februrary, 12 pm). On Wednesday, 13 February, and Tuesday, 19 February, we will receive the visit of two schools, who will come and see our dramatised reading "Madame Châtelet and her Instagram followers", performed by scientists and support staff of our center, which features different women scientists from our history: Hypatia of Alexandria, Rosalind Franklin, or Vera Rubin, to name a few! The students will also participate in some workshops and lab visits to know more about our research in nanotechnology and materials science. We also have a photocall in our hall, so that everyone can take a picture and share it on the social networks.